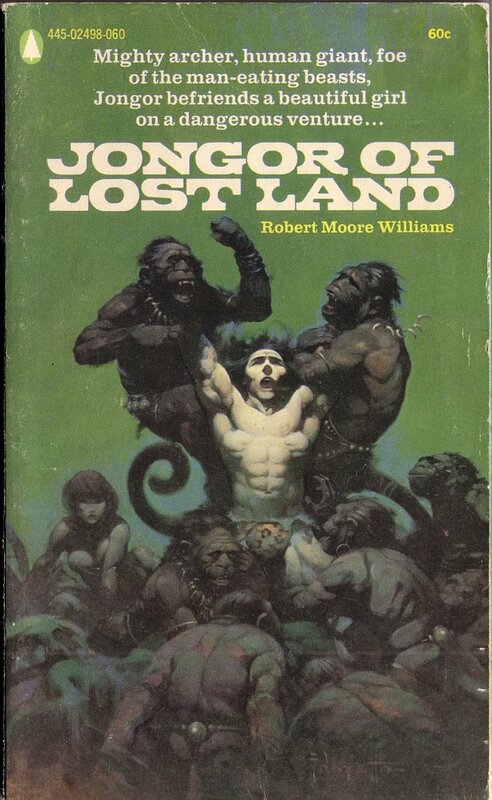 ABOVE: Robert Moore Williams, Jongor of Lost Land (1940; New York: Popular Library, 1970), with cover by Frank Frazetta. 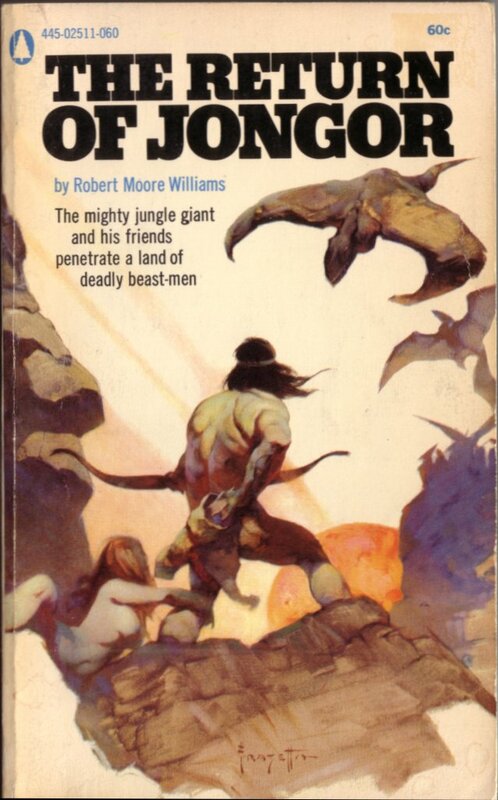 ABOVE: Robert Moore Williams, The Return of Jongor (1944; New York: Popular Library, 1970), with cover by Frank Frazetta. 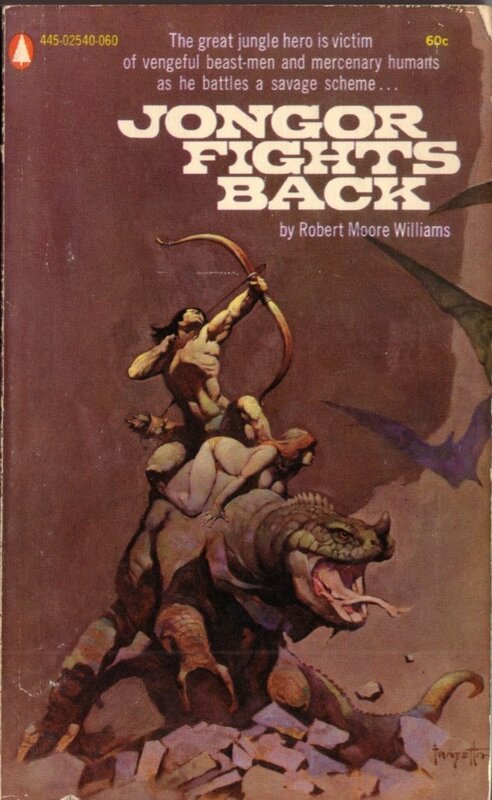 ABOVE: Robert Moore Williams, Jongor Fights Back (1951; New York: Popular Library, 1970), with cover by Frank Frazetta. The sequence, Jongor of Lost Land (1940; repr. 1970), The Return of Jongor (1944; repr. 1970), and Jongor Fights Back (1951; repr. 1970), reminds me of the first Star Wars trilogy: Star Wars (1977), The Empire Strikes Back (1980), and Return of the Jedi (1983). Purely coincidence, I’m sure. LOL!